Occupying a bleary-eyed nostalgia for an era when lifting a pint of Bass was considered light training, James Erskine’s Shooting For Socrates tells the story of Northern Ireland’s 1986 World Cup campaign with wistful reminiscence. This is a high-spirited comedy about the power of football to inspire optimism and togetherness with Erskine eschewing the visceral highs and lows of on-pitch excitement to focus on the effect the team’s performance had on the fans watching at home. The film charts the national team’s journey to Mexico from the squad’s qualifying campaign all the way to their ill-fated David and Goliath match-up against Brazil in Guadalajara. 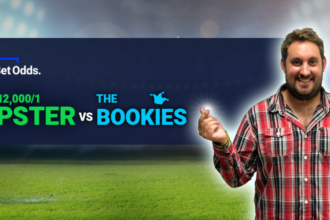 The film juggles between various perspectives during the lead up to the tournament. This includes Nottingham Forest midfielder David Campbell (played here by Nico Mirallegro), our emissary into the Green and White army’s dressing room. The film charts his call-up to the national team and subsequent baptism of fire opposite the imposing figure of Brazilian legend Socrates (Sergio Mur). The film also follows the lives of Arthur (Good Vibrations star Richard Dormer), and his son Tommy (Game of Thrones’ Art Parkinson) living in east Belfast during the violent peace process demonstrations. Ultimately it’s their heartwarming father-son relationship that illuminates the film’s true message about the unifying qualities of football. Shooting For Socrates boasts a knockabout sense of humour yet there was very little to cheer about in Northern Ireland in the 1980s and, like Arthur and Tommy, for many The World Cup provided a distraction from the ongoing conflict of the Troubles. The film successfully splinters the binary narrative of football to suggest the wider complexities of the conflict in Northern Ireland, which itself is too often simplified as a bilateral religious clash. Erskine doesn’t dampen this genial football comedy with too strong a focus on the chaos and bloodshed of this conflict, yet its underlying presence instills a sobering air to proceedings and the film strives to recreate this sense of optimism by juxtaposing archive news recordings of the Troubles alongside footage of Northern Ireland’s sporting legends such as George Best, Barry McGuigan and Dennis Taylor. Plus, there’s plenty of fun to be had spotting football idols played by famous actors: John Hannah struggling to recreate manager Billy Bingham’s distinctive Belfast brogue, Paul Kennedy as aging shot stopper Pat Jennings, and Conleith Hill pantomime performance as TV’s Jackie Fullerton. Erskine, (best known for his documentary One Night in Turin), evidently has a genuine passion for the game. 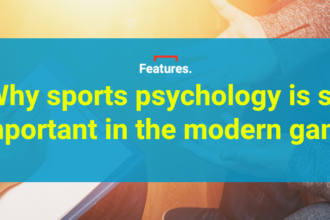 He bequeaths the film with a fervent sense of ardour for its subject, however sadly falls into the trap of football hyperbole, leaving the film open to a stream of sport movie clichés. Bingham’s inspirational speeches about the importance of teamwork are repeatedly wheeled-out to evoke a sense of occasion, whilst Campbell’s official debut as a substitute in a friendly against Morocco is conveniently ignored to enhance his rags-to-riches narrative. 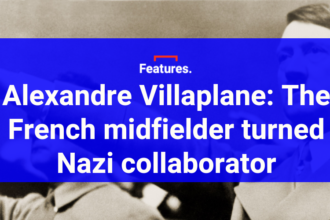 More, probably, could have been made of Socrates’ presence; a footballer whose stance against the dictatorship in his home country remains one of football’s most inspiring tales. 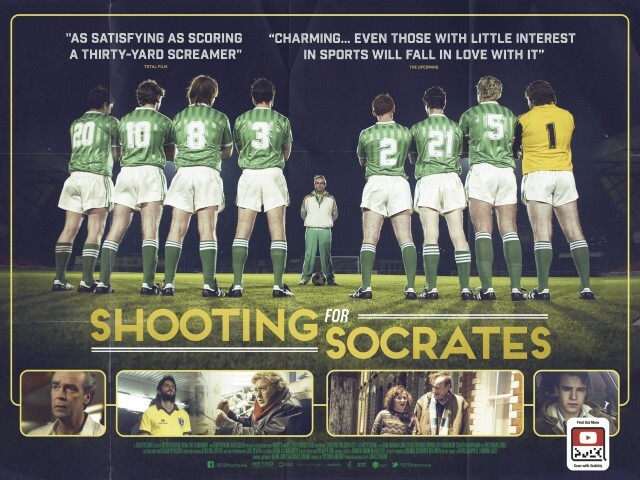 It is not much of a spoiler to reveal that Northern Ireland failed to win the World Cup in 86, yet Shooting for Socrates still captures the hope and inspiration many derived from Bingham’s plucky squad; a sentiment reiterated as the credits roll by a quote from the film’s titular philosopher who believed there was more to football than winning.